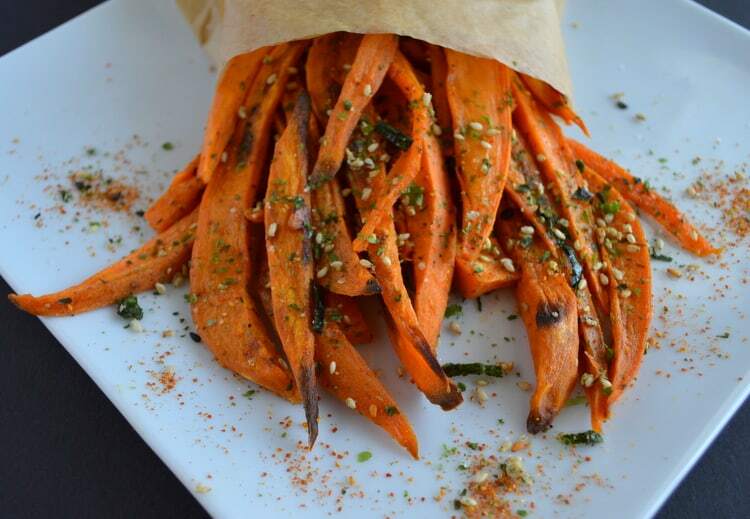 These fries are flavored with two types of Japanese spices and seasonings. To give the fries some sweet flavor, I added furikake, a rice seasoning made with bits of seaweed and toasted sesame seeds. 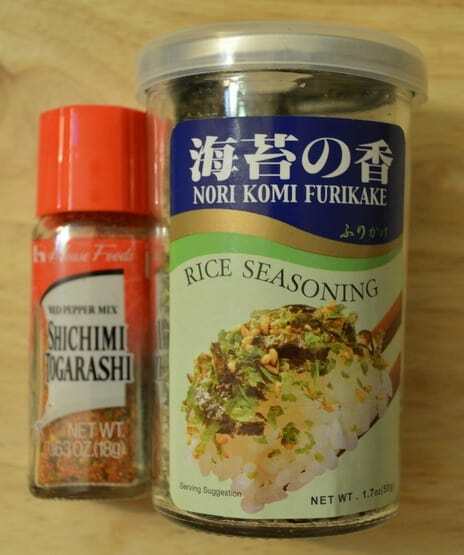 If you haven’t flavored cooked rice with furikake before, you must give it a try. I can usually find a small jar of furikake in Asian supermarkets for $2 to $3. I also wanted to give the fries a spicy kick, so I sprinkled a pinch of shichimi togarashi, a hot pepper mix that you can usually find in Japanese restaurants. The fries tasted amazing! I don’t know why it took me so long to flavor them with these ingredients. 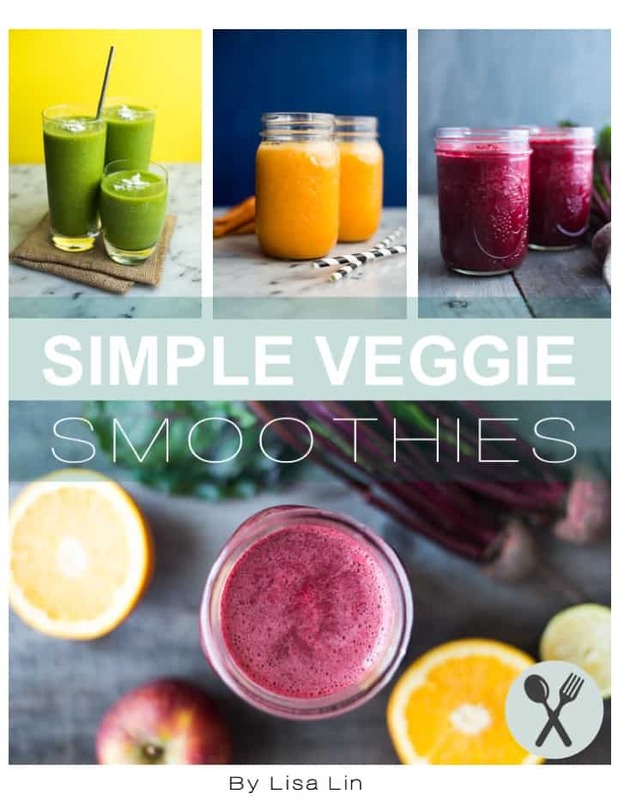 Give them a try this weekend! 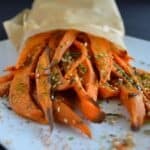 Tasty sweet potato fries with Japanese seasonings. 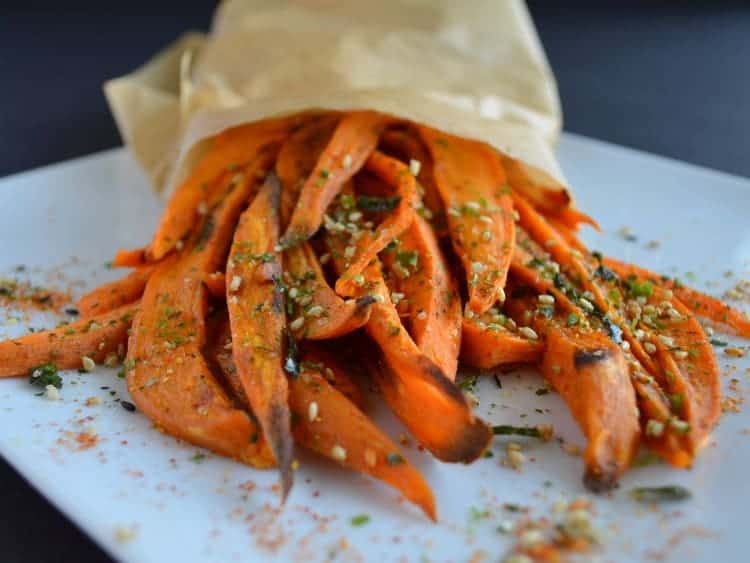 In a large bowl, mix the sliced sweet potatoes, olive oil, and salt together. Bake the fries for about 25-30 minutes. Remove the fries from the oven and let it cool for a few minutes. 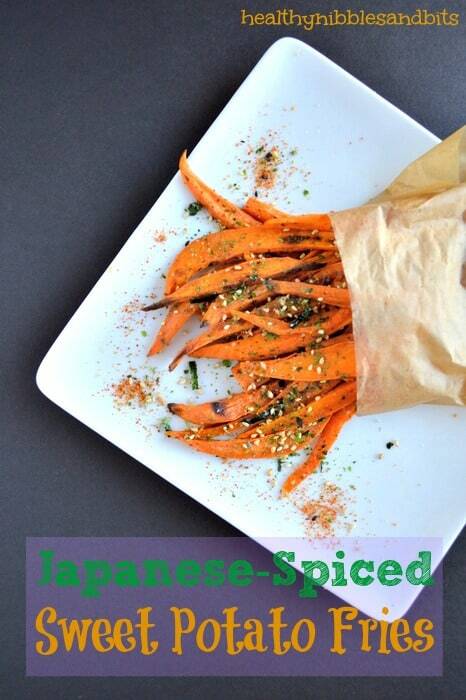 Sprinkle the furikake and shichimi togarashi on top of the fries. Thanks, Kristin!! I genuinely appreciate your support! 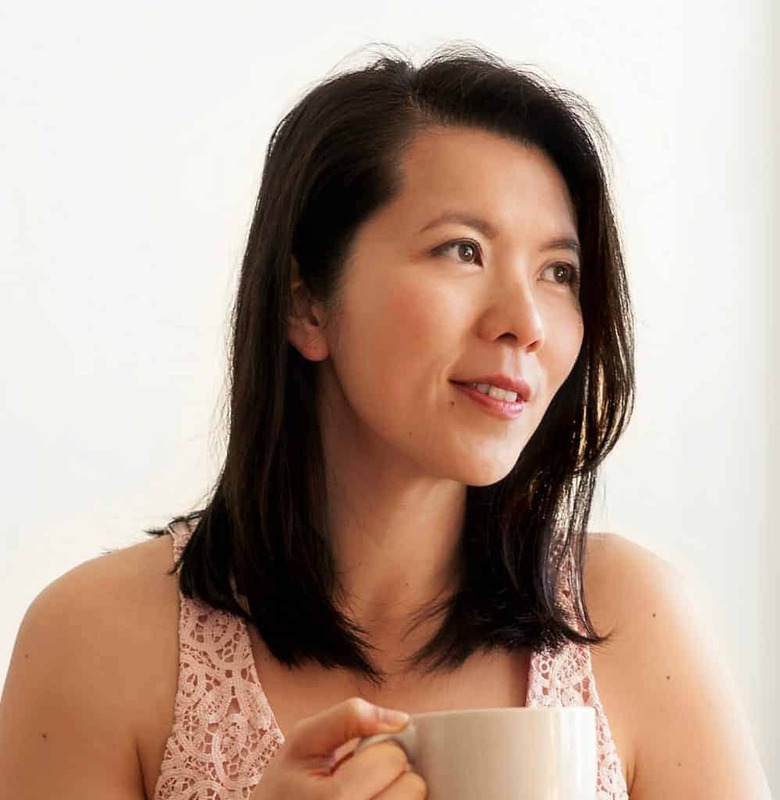 Have you seen the new look of my website yet? No problem!! I love your website!! Yes, I’ve looked and your website looks fantastic!!! Beautiful colors!! Glad you like it, Kristin! Holy crap, Lisa. Now I need to read everything you’ve ever done. Hi Ben!! I’m so glad you are liking the recipes. Let me know if there is anything in particular that you want to see on here, and I’ll work on it!